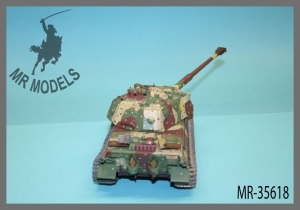 Modelling of armored fighting vehicles in 1/35 scale has often not many in common with reality, so we could not resist, to create a fictive turret for a tank which never did exist. 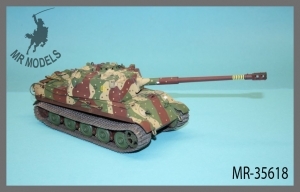 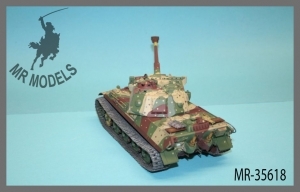 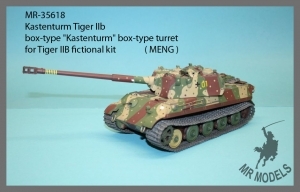 For the project selected was the Meng Tiger IIB which was released about one year ago. 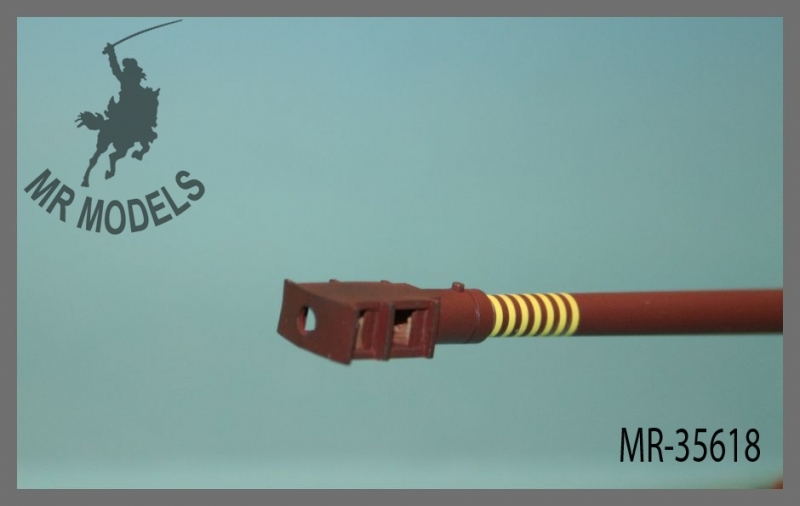 The Meng kit does not require any cutting and removing operations, only a few parts must be changed by alternate parts from the MR Models conversion to fit the new turret. 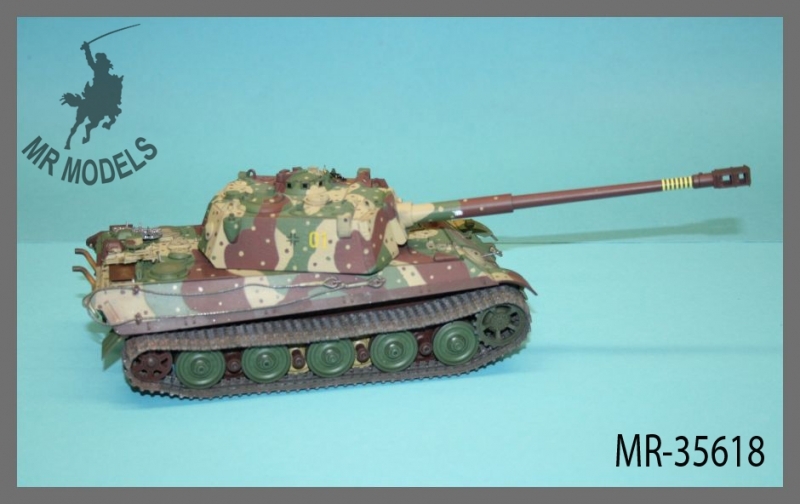 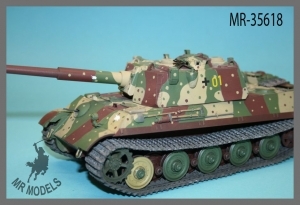 As fictive as the whole turret is the gun designated as “10.5cm Kw.K 50 L/64” which is included in the MR Models conversion as turned Aluminum gun barrel. The Tiger IIB upper hull was never designed for a larger, box-type turret with more inner volumina, to achieve the full rotation of such a turret the center section of engine deck must be replaced by a new part. 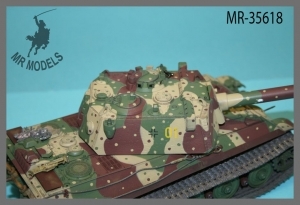 Also the driver hatch arrangement would have been modified, so we have designed a new driver compartment roof plate with new hatches. 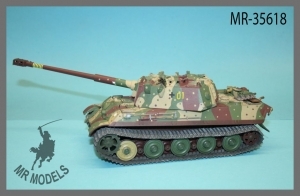 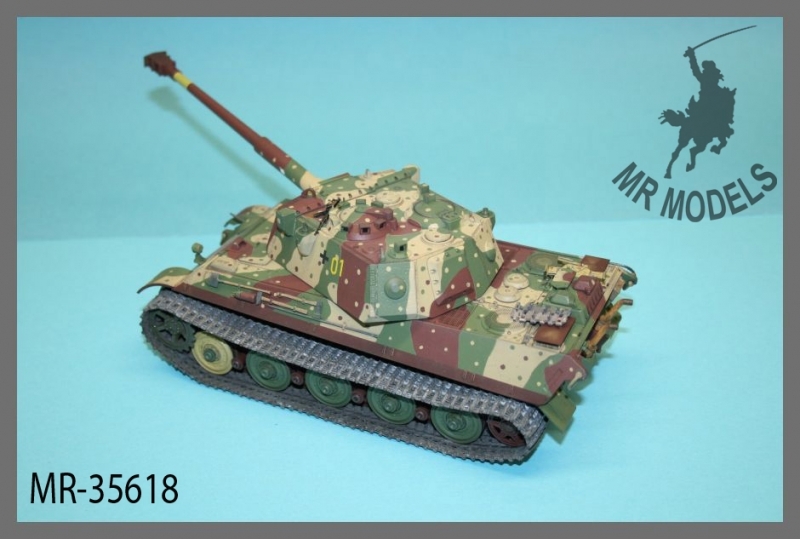 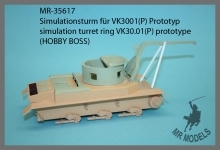 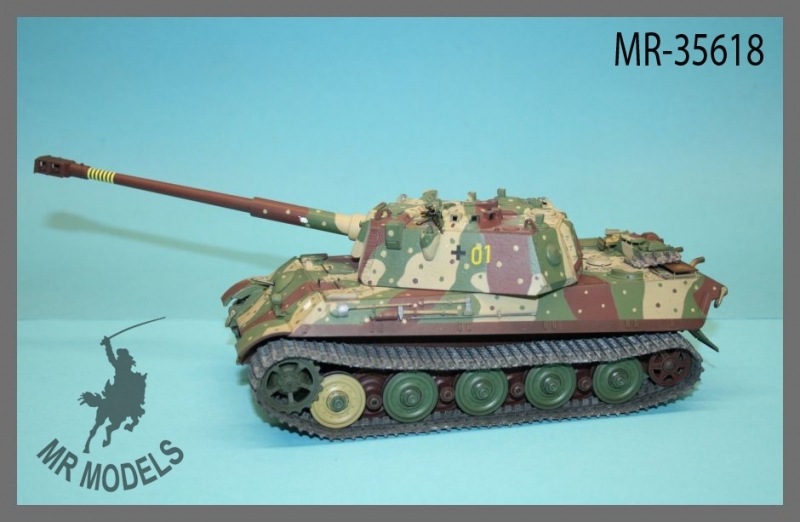 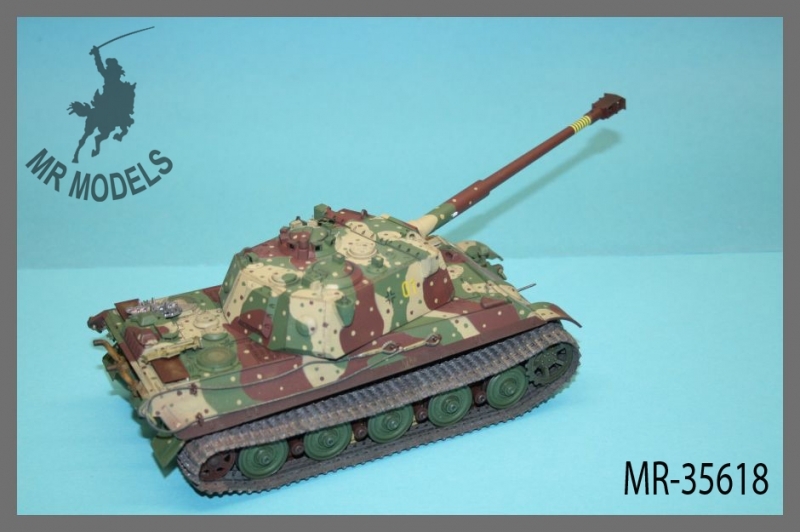 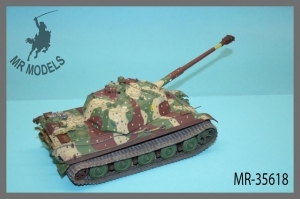 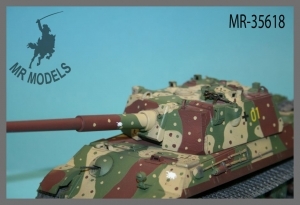 The MR Models turret is easy to build in a short time, is in every case uncomplicated during assembling and the Meng plastic kit to assemble without any problems, the job is fast done. A few other ideas for such fictive tanks of German Wehrmacht have been born, perhaps we will do in future other fictive products as well.